1. What Is Special Needs Adoption? A special needs adoption is similar to adopting a healthy child except it has a few added challenges and rewards. For this article, we define special needs adoption as adopting a child with physical, emotional, or mental disorders or syndromes. This includes children with history of neglect and abuse or were prenatally exposed to drugs or alcohol. We will not include sibling groups, race, or age as a conditions for special needs adoption. The process to adopt a child with special needs is identical to adopting a child domestically or internationally, with a few differences. Before you begin filling out your preference checklist, ask yourself (and your spouse) if you are comfortable and capable to support a child with special needs. Identify the reasons why you want to adopt a child with special needs. Determine if you are willing to make frequent doctor visits. See what kind of conditions your insurance will be willing to cover. Ensure yourself (and your spouse) that you have considered all aspects of adopting a child with special needs before moving on to the next step. A Medical Condition Checklist is a section in your home study that allows you to specify what certain medical condition you are willing to handle with your future child. When filling out this section it is paramount to do your research. Try to understand what the medical condition entails and what kind of treatments are normally required. Be thoughtful, but don’t exhaust yourself in understanding every medical condition. Inform youself to the point where you feel comfortable marking yes or no. Marking yes or no will cause you (and your spouse) to reflect deeply on what you are willing and capable to handle. Remember to be honest with yourself. Do NOT feel guilty for marking “no” where you don’t feel comfortable. Trust yourself and trust that you will find your child that will enrich your life. Abuse and Neglect can cause behavioral or attachment disorders. Manifestation of abuse and neglect can vary depending on the severity of the abuse or neglect, current environment, and the child’s personality. Effects of abuse and neglect can be life long. Treatments, including medication and therapy, will depend on the level of impact abuse and neglect has had on the child. Attention-deficit/hyperactivity Disorder (ADHD) is a neurological disorder characterised by inability to focus or control impulses. ADHD is possible caused by genetic factors, but the main cause for ADHD is still known. Symptoms include difficulty to focus on tasks or restlessness. Common treatments for ADHD include medication and behavioral therapy. Autism Spectrum Disorder (ASD) is a spectrum of developmental disorders. The cause of Autism is not known, but most of the symptoms result because of differences in the brain. A common characteristic inability to communicate or interact socially. ASD covers all degrees of Autism including disorders such as Asperger’s, meaning each child diagnosed with ASD have varying degrees of manifestation. Because each case is different, it is best to consult with a doctor about treatment plans. Bipolar Disorder is a condition where moods and levels of activity can shift drastically resulting in periods of depression and joy. Bipolar Disorder is caused by several factors including environmental and genetic. Some symptoms of Bipolar Disorder include hyperactive activity, long periods of happiness, loss of interest, and thoughts of suicide. Symptoms vary depending on the severity of the diagnosis. Treatments include medication and therapy, but most people with Bipolar Disorder learn how to handle the shifts in mood over time. Cerebral palsy describes the lack of motor control and balance. This is a result of brain damage or underdevelopment of parts of the brain. Depending on the extent of the damage, symptoms may range from a little clumsy walk to an inability to control limbs. Treatment for cerebral palsy is on a case by case basis. Consult with a healthcare professional on what types of treatment would work best. Cleft lip is a condition where the lip does not properly form during pregnancy leaving a gap in the lip. Cleft palate is a condition where the skin on the roof of the mouth (palate) does not properly form leaving a gap. Both a cleft lip and palate can be caused by genetic and environmental factor. Complications with eatings and speaking occur, and both can cause ear infections. Treatments includes corrective surgery and therapy. Down syndrome is caused when a baby has an extra chromosome. A chromosome is an “x” shaped object composed of DNA. Because of this extra chromosome, the brain development changes resulting in mental limitations. Other effects include distinct physical features and possible heart problems at the time of birth. There is no cure for Down syndrome but many children can have good lives with proper medical treatment early on in their lives. Fetal Alcohol Spectrum Disorder (FASD) describes birth defects caused by heavy consumption of alcohol during pregnancy. The birth defects can be mental, emotional, and behavioral. Symptoms can include weak cause-and-effect reasoning and/or impulsiveness. There is no cure for FASD, but early treatment can help improve child development. Treatments will vary depending on the severity of FASD. Reactive Attachment Disorder describes the condition when a child is unable to establish healthy and loving attachment with caregivers. This is caused by neglect, abuse, or abandonment to a child during early stages of development. Symptoms of this disorder include hyperactiveness, superficial charm, limited physical affection, and impulsiveness. With counseling and therapy, children with RAD can improve behavior. Spina Bifida (SB) describes a condition where the spine doesn’t completely form during pregnancy resulting in severe nerve damage. Possible causes for SB include genetic and environmental causes. Symptoms of SB may include impaired mobility, paralysis of lower limbs, and mental disabilities. Treatment includes corrective surgery and therapy. Though these treatments may help, the condition is lifelong. Now that you have marked your preferences and completed you home study. Your agency will send you a referral that matches your preferences. Review the medical file with your healthcare professional. Ask your doctor any clarifying questions conserving the child particular medical conditions. You may consider visiting a specialist in the field for further explanation of what to expect. It may also be a good idea to talk with other parents that also parent children of that same special need. These are the people “in the trenches” so to speak. Who better to ask than those that live it everyday? You can reach out to a special needs group here. When you review the child’s medical file, check to see if you are comfortable providing for the needs of the child. While most medical files have accurate information, some files may be lacking. This tends to be more common with international adoptions. Don’t be frustrated by the lack of information about the child’s condition, because there’s not much you can do until you are parenting the child. Even the most detailed medical records may miss something. As with a child you gave birth to or a child by way of adoption, you can never truly know what lies ahead. Additionally, people often express that they felt that the referral was “right.” Do not force a decision you do not feel comfortable with. You should listen to your gut when you make this decision. You should not feel pressured into taking a placement. There will be other opportunities ahead. After you have reviewed the medical file and made your decision to adopt, the rest of the process follows the same as a typical adoption. Once you bring your child home, you enter the adjustment period. This can last from six months to years as your child becomes familiar with their surrounding and the family dynamic. For children with special needs this period can last longer than expected. Remember that both you and your child are getting use to each other so don’t be discouraged. Celebrate the little victories and take it slow. As you grow together you will become not only a parent, you will become their advocate, confidant, and friend. You are not alone in the adoption process. There have been countless scores of adoptive parents and adoptees that have vital advice as you go forward with the adoption process and for the years after. You can visit online adoption support groups to find answers to questions you may have. In addition, it is important to establish a strong circle of support of friends and family to help you as you raise your child with special needs. Remember, you don’t have to bear it all by yourself. If possible, you should seek other adoptive parents that have children with your child’s special need. This can help provide you with mental and emotional support. Parenting a child with special needs will not be easy. Relying on those that have faced the same issues as you can be a great blessing for you and your child. And who knows, you might be able to help other future special needs adoptive parents. For Group/Work insurance policy, children are considered covered starting the day of their adoption. Be sure to inform your HR department about this. Make sure preexisting conditions are covered as well. Communicate with your health insurance and healthcare professional to know what has been covered by insurance. For procedures and visits not covered by insurance some states offer supplement insurance for certain medical conditions. Medicare is available for children with special needs if they do not currently have state supplemental insurance. Can my child be on Medicaid and group insurance? When you choose to adopt a child with special needs, the adoption costs are incredibly low. This maybe says something about the way adoption works, but we won’t get into that today. A child with special needs may come with some costs, as there is still paperwork, fees, and a home study to complete, but nearly the entire cost is refundable through the adoption tax credit or subsidized by the government. In reality, many special needs adoptions are next to free. However, the upfront cost is made up in medical bills–of course this depends on the needs of your child. Still, many local and federal governments can aid your child through medicaid or financial aid. Talk to your adoption professional about aid available in your area. If you find that you will still struggling financially, or if you worry about providing for your child’s future, here are some additional sources. Not all parts of the adoption process is filled with smiles and happy feeling. There will be struggles and realities that don’t meet our expectations. Jeanette, mother of Samantha, a child with special needs, shares what to expect when raising a child with special needs. 1. You will feel overwhelmed. This is just a guarantee when you become a parent, but sometimes with a child with special needs, you will wonder if you can get through a day. Your child may require multiple monthly doctor appointments and scheduled therapies. Jeanette suggested, “You need to either be organized or work on becoming organized.” She considered herself still a work in progress. 2. You will feel alone. Being a parent of a child with special needs can monopolize your time to the point where your social life is less than what it use to be. This decrease in social interaction can lead to feeling of loneliness and isolation. Jeanette expresses that she often felt isolated. Sometimes she still feels incredibly isolated. This is why finding groups and people that are going through the same thing as you can be so important. It also bodes well to mention that finding your child other special needs children to socialize with can do wonders for him or her. If there are no local gatherings of special needs children or parents of special needs children, you can totally start your own. It is very likely there are others hoping you do start a group. 3. Money may always be on your mind. Hospital and Doctor visits are expensive. Insurance does help but money alway seems to be on your mind. Taking the time to budget your income or finding other ways to bring in income may be the right thing for you and your family. Although money may always be on your mind, it doesn’t have to rule your thoughts. Do the best that you can with what you have and be at peace. Enjoy the happy moments with your child. 4. You will appreciate the little things. Progress for a child with special need can be slow at best. Jeanette’s daughter was almost 11 when she was able to finally feed herself. It is these little victories that make life meaningful. Raising a child with special needs helps you appreciate the little things. Although your child’s progress will be different from the other children, celebrate these milestones. 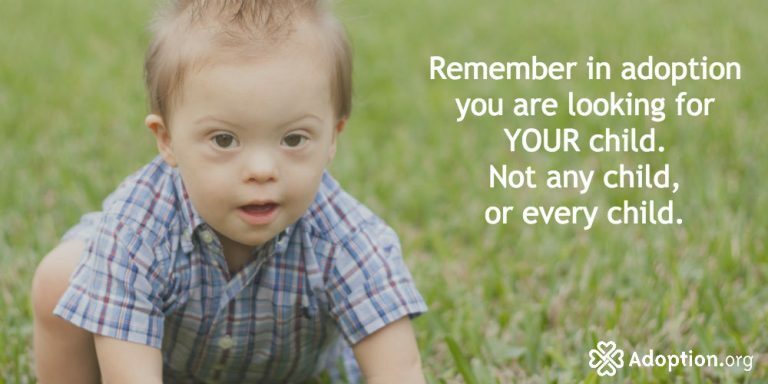 Special needs or not, your child is not meant to be compared to other children. 5. You will need help. It will take a village to raise your child. Rely not only on your fellow special needs parents, but also your community, friends, and family. There are people that love you and your child. They are willing to help you if you but ask. It’s okay to need a night off or moment alone. You’re only human. Though at times it may be hard to swallow your pride, you will be grateful for the help that you’ve received. 6. You will be stronger than you think. 7. You will be tired. 8. YOU will become the expert on your child. Hours of caretaking, interaction, and doctor visits gives you expertise of knowing how your child is feeling at the moment. Plus, a parent’s intuition will always give you a one up. You will use this knowledge in everyday interactions and this will only strengthen your bond with your child. 9. You must be careful with advice. Doctors, family, friends, your hairstylist who has a friend who has a child with special needs– everyone seems to have a bit of advice on how to raise your child with special needs. Remember, “Doctors are your friend….They don’t have all the answers, but they have some pretty good insights.” The same goes for everyone else. Listen to what they have to say, but ultimately you are the parent and trust that you will make the best choice for your child. 10. Your heart will ache. Though you are eternally grateful to have your child in you life, there may be days where you wish that you child could have a more normal life. You may wish your child to not have to struggle to do the simplest things. Your heart may ache for their future. But remember, with the worries comes the unexpected relief.